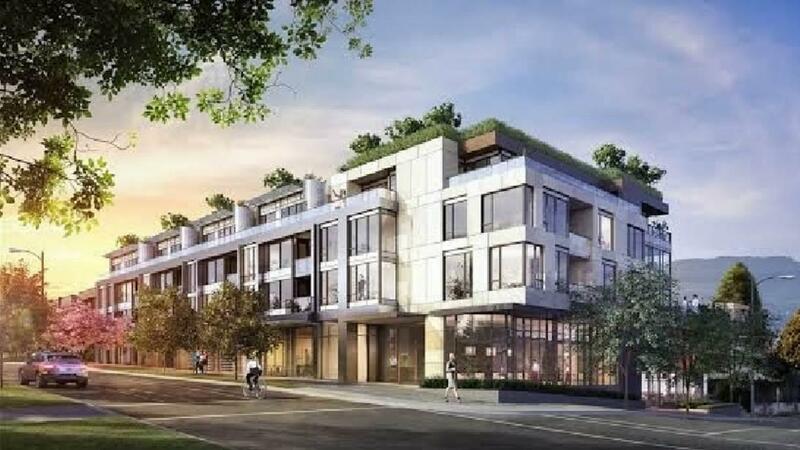 Description: The Grey – a boutique concrete low-rise centrally located in the prestigious West Point Grey neighbourhood at Dunbar & West 16th Ave. This SE corner unit with city & downtown views features 1249 SF, 2 bedrooms + den & 2.5 baths. It provides sunshine throughout the day. Featuring A/C, 9’ ceilings, Italian custom designed cabinets by Milton, Gaggenau appliances & integrated wine fridge, sleek quartz countertop & backsplash & oversized island – it is an entertainer’s paradise. Spa inspired bathrooms with porcelain marble slabs, deep free stand tub & rain shower head plus many more…it is truly a deluxe home. 2 parking stalls & 1 storage locker. Vancouver’s #1 Lord Byng High School & 10 mins to UBC. Est completion 2020.